If we heed His words and live the commandments, we will survive this time of permissiveness and wickedness. My heart is full as we come to the close of this conference. We have been richly taught and spiritually edified as we have listened to the messages which have been presented and the testimonies which have been borne. We express thanks to each one who has participated, including those Brethren offering prayers. Once again the music has been wonderful. I express my personal gratitude for those willing to share with us their talents, touching and inspiring us in the process. The beautiful music they produce enhances and enriches each session of conference. 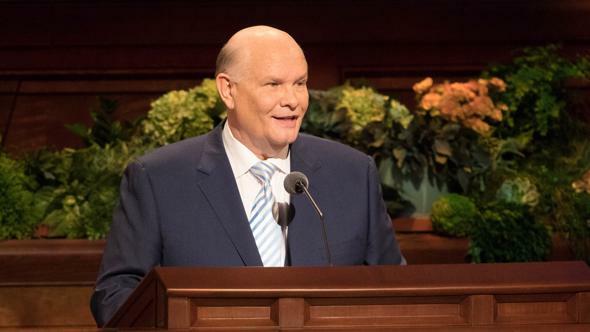 We remind you that the messages we have heard during this conference will be printed in the November issues of the Ensign and Liahona magazines. As we read and study them, we will be additionally taught and inspired. May we incorporate into our daily lives the truths found therein. 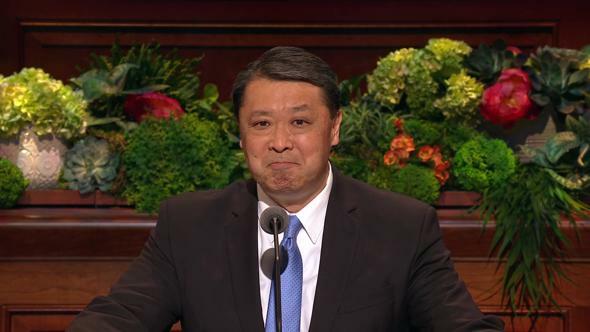 We express to those Brethren who have been released during this conference our deep appreciation. They have served well and have made significant contributions to the work of the Lord. Their dedication has been complete. We thank them from the bottom of our hearts. We live at a time when many in the world have slipped from the moorings of safety found in compliance with the commandments. It is a time of permissiveness, with society in general routinely disregarding and breaking the laws of God. We often find ourselves swimming against the current, and sometimes it seems as though the current could carry us away. I am reminded of the words of the Lord found in the book of Ether in the Book of Mormon. Said the Lord, “Ye cannot cross this great deep save I prepare you against the waves of the sea, and the winds which have gone forth, and the floods which shall come.”1 My brothers and sisters, He has prepared us. If we heed His words and live the commandments, we will survive this time of permissiveness and wickedness—a time which can be compared with the waves and the winds and the floods that can destroy. He is ever mindful of us. He loves us and will bless us as we do what is right. 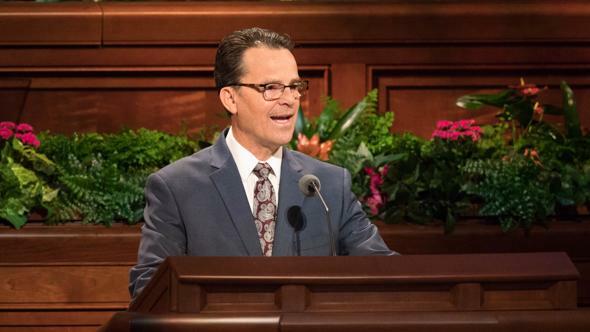 How grateful we are that the heavens are indeed open, that the gospel of Jesus Christ has been restored, and that the Church is founded on the rock of revelation. 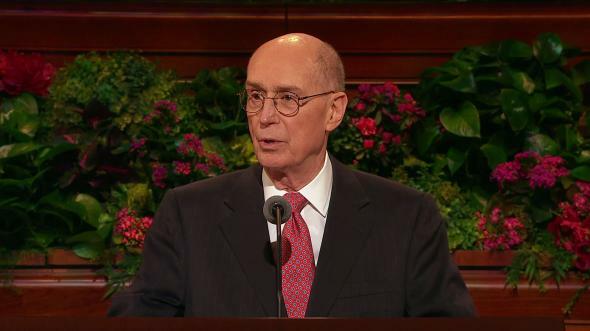 We are a blessed people, with apostles and prophets upon the earth today. 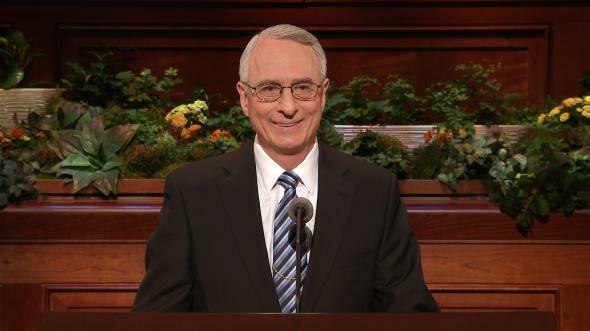 Now, as we leave this conference, I invoke the blessings of heaven upon each of you. May all of you return safely to your homes. 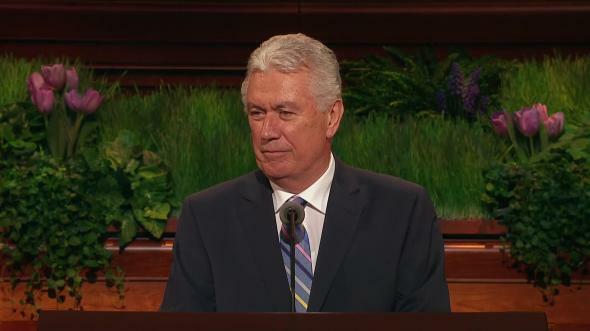 As you ponder the things you have heard during this conference, may you say, with the people of King Benjamin who all cried with one voice, “We believe all the words which thou hast spoken unto us; and also, we know of their surety and truth, because of the Spirit of the Lord Omnipotent, which has wrought a mighty change in us … that we have no more disposition to do evil, but to do good continually.”2 May every man and woman, boy and girl leave this conference a better person than he or she was when it began two days ago. I love you, my brothers and sisters. I pray for you. 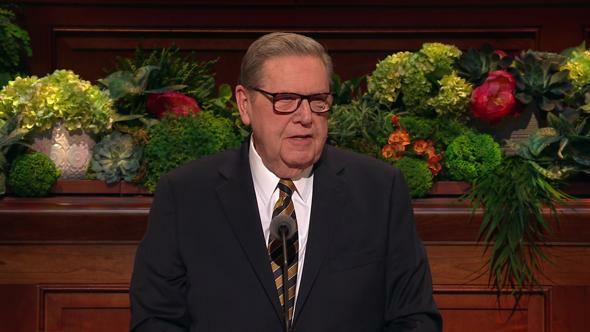 I would ask once again that you would remember me and all the General Authorities in your prayers. We are one with you in moving forward this marvelous work. 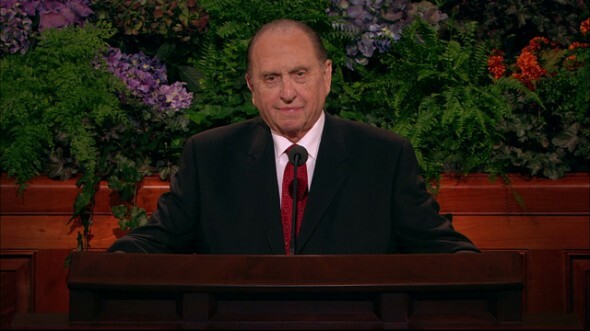 I testify to you that we are all in this together and that every man, woman, and child has a part to play. May God give us the strength and the ability and the determination to play our part well. 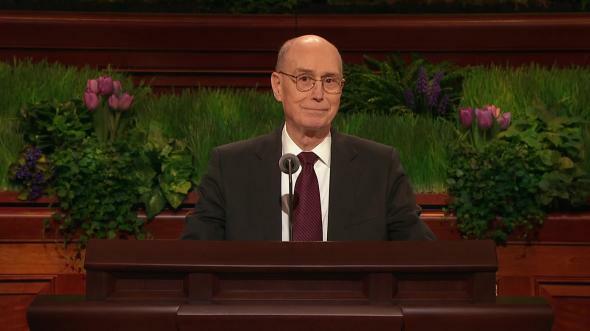 I bear my testimony to you that this work is true, that our Savior lives, and that He guides and directs His Church here upon the earth. I leave with you my witness and my testimony that God our Eternal Father lives and loves us. He is indeed our Father, and He is personal and real. May God bless you. May His promised peace be with you now and always. 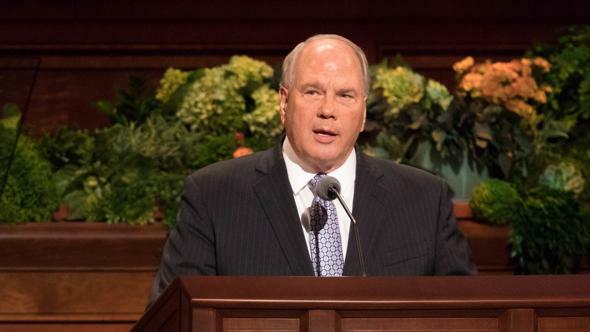 I bid you farewell until we meet again in six months’ time, and do so in the name of Jesus Christ, our Savior and Redeemer and our Advocate with the Father, amen.